Whether tenant or home owner, that date that’s marked on the calendar for the big move can seem to take forever to come – yet in the last three week countdown, time can inexplicably speed up. This phenomena is often coupled with a to-do list that grows by the day, with tasks that are all too often left to the eve of the move. To help you on your way – and for unfailing preparation, we’ve put together this essential list for any house mover – for moves that are as stress free as possible. Tell your utility providers that you’ll be moving, and advise them of the date (don’t forget to write down and take pictures of your meter readings on the day itself). Purchase plenty of packing supplies (including boxes, tape, black markers, Styrofoam, bubble wrap and parcel paper). Get measurements for your new home so that you can plan where your furniture will go. You may find that some items simply aren’t going to fit (particularly if you’re downsizing); if so, then this gives you a chance to sell up before moving out. Ask others for help – a few extra hands can make for far lighter work when you have so much to move. Finally, be sure to leave out the clothes that you’re going to be moving in (and make sure they’re comfortable and suitable for plenty of manual labour). Pack up personal items (such as daily bathroom products, cosmetics, clothes etc.) into a single box for each family member; be sure to pack any items that may leak (such as cosmetics) into water proof containers. Begin in the kitchen – this room is notorious for being home to the most items, as well as many items that are delicate (such as glass wear and crockery). Place all items that you may need upon arrival in a single box (this might include the kettle, coffee, tea, sugar and cups). Mark up each box as to what items are inside, and include the name of the room into which it is to be placed (as an experienced Removals company in York, we can reliably inform you that this is super helpful for our teams when it comes to fast, efficient delivery). Whilst it’s advisable to keep your home clean in the run up to the move, you may need to give it a quick once over when all of the furniture has been removed. For this reason it’s advisable to put together a cleaning kit that you can easily carry from room to room. A professional removal service can provide complete peace of mind that everything you own is going to be transported safely and promptly, delivered at the destination and placed into the rooms into which they belong. They also remove the prospect of injury through back strains which can otherwise put a halt to the move. Whilst we began as a man and van in York, today we cover the entirety of the UK – offering an affordable alternative to moving all of your items alone; and whilst we can’t remove all of the stresses that are associated with moving home, we can certainly help provide removals in York (and UK wide) that at least handles that element of heavy lifting. Our team can provide industry leading: House Removals in York; UK wide removals; Business relocation; Collection and delivery and Student removals. 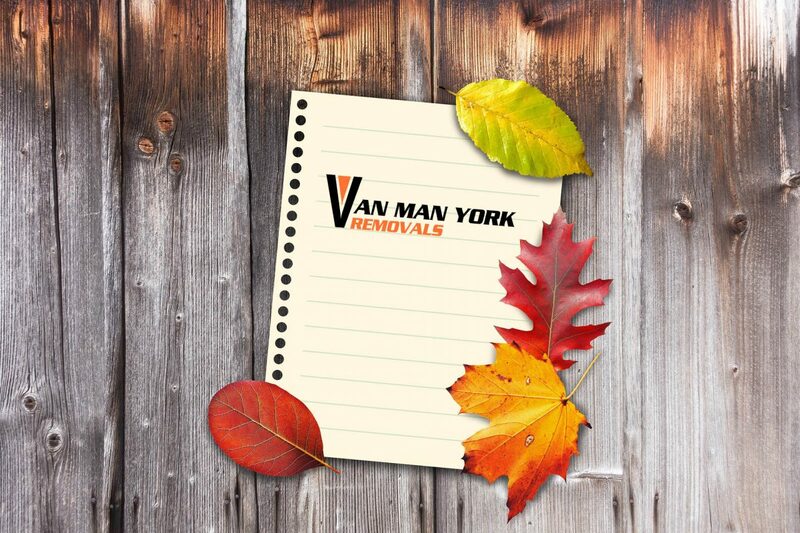 Phone the man and van York team on 07931 849 112 or 01904 375 995; email on [email protected], or visit our van removal quote page for a free, absolutely no obligation quote.